If you are following Blog Time Now you might noticed that we have discussed an article about the difference between RSS and Feedburner feeds and the importance of Feedburner for SEO. In this article we are going to see how to setup Feedburner feeds for wordpress and how to redirect your default wordpress RSS to Feedburner. 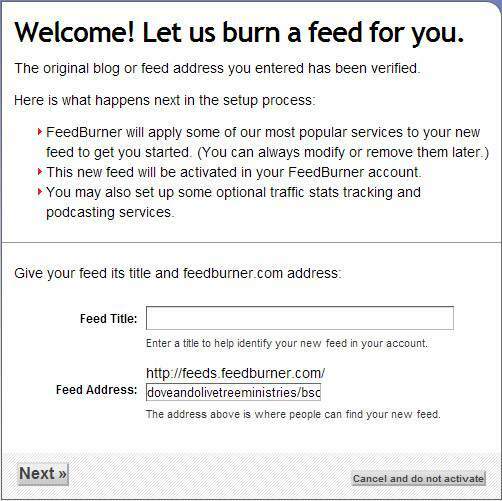 Visit Feedburner page with your g-mail account http://Feedburner.google.com and enter your wordpress feed URL where it says “Burn a feed right this instant” then click next to start burning. If you use a custom permalink structure you can find your blog RSS by visiting yourdomain.com/feed. Now it takes you to the welcome page where you have to enter your blog title and your Feedburner address http://feeds.feedburner.com/yourblogname then click next. 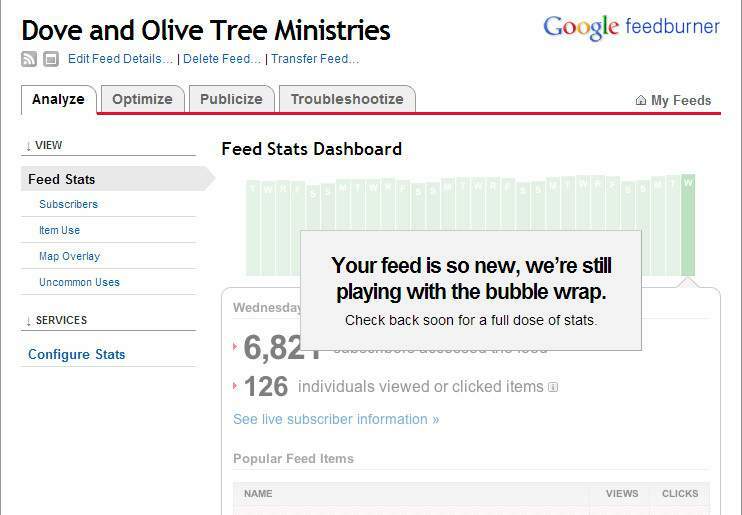 Now your Feedburner feed is live. In your main Feedburner page you can see your feed that you have burned right now. Open it to make some changes to your feeds as follows. The first one you will see is analyze tab where it says “your feed is so new” it needs a day to analyze your feeds; just leave it and open optimize tab where you can see many services for your feed. Activate browser friendly that makes your feeds easy to read and subscribe. If you are a podcaster and your blog is all about music and stuffs then check smart cast. Activate smart feed which is a must that ensures maximum compatibility for your readers. Check feed flare that builds interactivity into each post which helps users to share your feeds by email and social bookmarking sites. 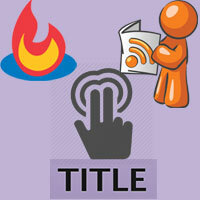 Check summary burner if you just want your feeds to show only summary of your content. There are still more services you can use if you want. 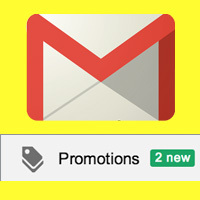 Now come to publicize tab and activate email subscription option for your readers, activate ping shot that notifies several services when you make a new post. And you can activate whatever that needs for your feeds as Google has simplified the services which you can understand easily. 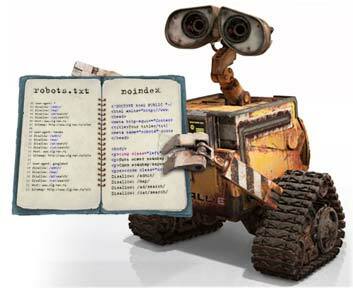 Now you have two separate feeds; a RSS feeds that comes default with your wordpress blog http://yoursite.com/feed and a Feedburner feed http://feeds.feedburner.com/yourblogname. 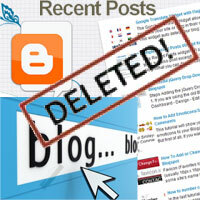 When some users try to access your feeds directly into browser by searching for yoursite.com/feed they just see the default RSS which has no features for the readers for that reason we are going to integrate wordpress feed with Feedburner. 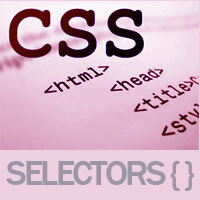 What we going to do is redirect your RSS to your Feedburner page. It’s simple if you follow the steps correctly! 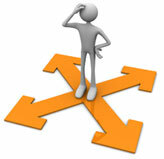 Login to your control panel > Open file manager > Open public_html and locate .htaccess file and open. Now place the following code in your .htaccess as I have marked in the image. That is after RewriteEngine On and before RewriteBase / and make sure you change the Feedburner address. Hope now you are clear on how to setup Feedburner feeds for wordpress and how to redirect default RSS to Feedburner feeds. Share and comment.